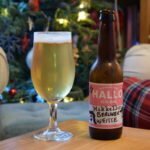 Sour beers, with a tartness that’s expert in masking the absence of alcohol flavours, make great low and no alcohol beers. 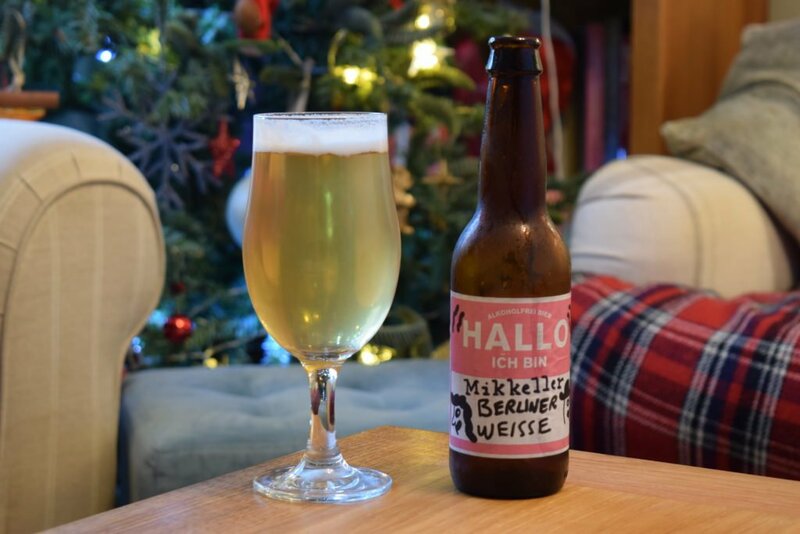 One of the first breweries to have a go at an alcohol-free sour was Mikkeller with “Hallo, Ich Bin” – a 0.1% Berliner Weisse. Although Berliner Weisse’s probably did originate in Berlin, they’ve been more popular in the US market in the recent past. It’s only in the last few years that German brewers have dabbled with this style again. Of course, Mikkeller is neither American or German – technically a Danish brewery, it brews on borrowed equipment, often at De Proefbrouwerij in Belgium. 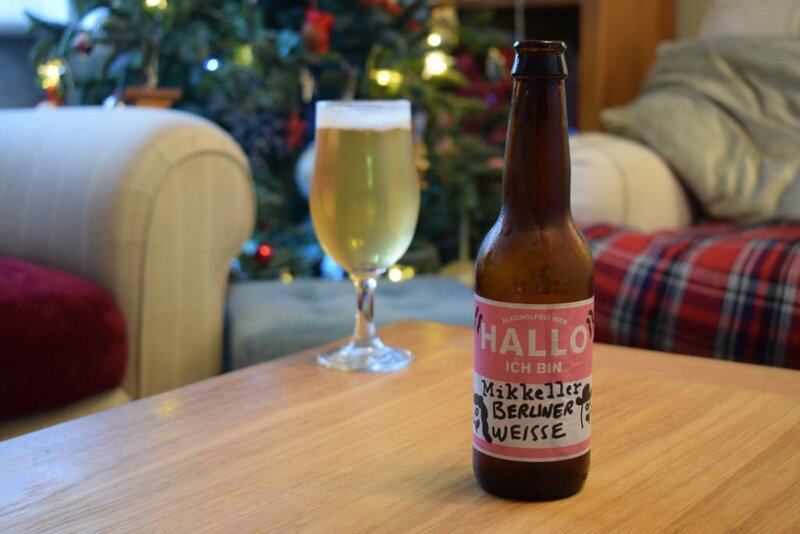 Having successfully brewed a quality alcohol-free NEIPA – which are usually high in ABV – it feels as though an alcohol-free Berliner Weisse would be less of a challenge for Mikkeller seeing as these traditionally come in around the 3% ABV mark with a light to medium body. The wheat (weisse) also helps with head retention and mouthfeel. The sourness comes from a bacteria called Lactobacillus. This converts sugar into lactic acid, which gives the beer its tart aroma and flavour. The brewers also use their own yeast as usual along with barley malt and minimal hops. Hallo Ich Bin pours a straw colour with a fluffy head, which holds its own and leaves a pleasant amount of lacing as you sip. As expected, the aroma is sour and acidic. It’s interspersed with a diverse range of supporting aromas – wheat, lime and a touch of salt. The mouthfeel is typical of a Berliner weisse. It’s highly carbonated with a low to medium body. It feels velvety and creamy in the mouth, until the bubbles cut through the softness. The taste isn’t as tart as promised by the aroma, which makes it easy to drink. There’s a malty, clean taste backed by a fruity backbone with lemon and raspberry mixing with the maltiness. The taste gets sweeter near the end of each sip and there’s a refreshingly dry aftertaste that prompts more gulps. Mikkeller have never let me down when it comes to alcohol-free beer, and Hallo Ich Bin is no different. And while those looking for a like-for-like replacement for a typical beer might shy away from it, it’s a great option if you’re looking for an interesting alternative to other soft drinks or you’re a beer drinker with more adventurous tastes. It’s not overly tart either. So don’t be put off if you don’t like sour food and drink.